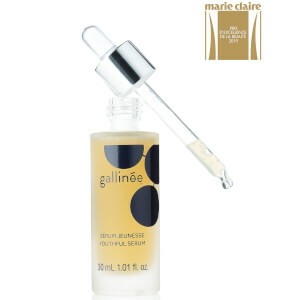 Bring your skin back to life with Gallinée. Infused with a patented complex of prebiotics, probiotics and lactic acid, this innovative skincare line helps to support your microbiome in the most gentle and effective way. The microbiome is the name for all good bacteria and microorganisms that live in harmony, on and in your body, and plays an integral role in the barrier function of our skin. As a result of our modern lifestyles, pollution and other factors such as antibacterial products, our skin can become dry, irritated and stressed. Using their scientific expertise, Gallinée wanted to introduce a skincare line that took care of our microbiome. Helping to nourish the skin back to health, the brand’s unique triple biotic complex helps to nourish and support our skin’s good bacteria. With the formulations bursting with high concentrations of active ingredients, it was essential that their products were free from ingredients such as as SLS or soap, which were harmful to the skin’s natural PH levels. Take care of your skin and its bacterial ecosystem and welcome brighter, softer and healthier-looking skin. Gently refresh and revitalise your complexion with this Foaming Facial Cleanser. Developed with an innovative biotic complex, lactic acid is added to the formula to help smooth the skin, whilst the prebiotics help to nourish the skin’s protective ecosystem. Containing 98% natural ingredients, the texture is fine and creamy; giving you a truly indulgent experience. Acting as a two-in-one formula to refresh, restore and brighten skin, treat your complexion to the benefits of the Face Mask and Scrub. Containing a whole host of wonderful ingredients including Kaolin Clay, Sea Minerals and antioxidant rich Vitamin E, this powerful treatment helps to draw out impurities, whilst respecting the skin’s natural PH levels. Your skin will be left feeling refined, revitalised and with the signature Gallinée glow. Moisturise, soften and rejuvenate your skin with this deeply Hydrating Face Cream. Suitable for those with even the most sensitive of skin types, this fast-absorbing, non-greasy cream deliver the optimum hydration that our skin craves. Rich in antioxidant Myrtle Extract, this ensures your skin’s microbiome is protected and strengthened, leaving you with a radiant and healthy-looking complexion. Shop the Gallinée collection at Beauty Expert.